We present you the Diva Of Accounting Softwares. In July 2012, a group of experts in software development bought into a reality which was named Openmiracle. We at Cybrosys Technologies Pvt Ltd, understood this concept and have gone a step ahead. Here’s what we have to offer you. We aren’t giving you a shopping experience to mix and match, we give you the shop ! We aren’t asking you to pick what you want and pay as you use, we are giving the shop for free for life! 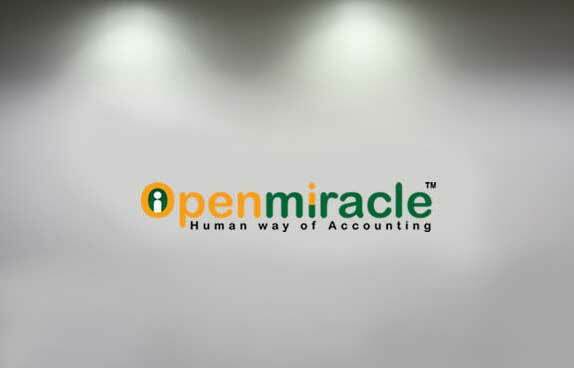 Openmiracle as its name state is a wonder to the world of accounting. We know that all business in the world is not alike. Openmiracle team has come up with the Open Source concept into market as a Social cause to society. According to the OM team it would be called as the Aam admi Software.....”Lay Man Software”. Openmiracle has been designed keeping all the accounting aspect and difficulties that a common man faces. Talking about the idea of Openmiracle coming into existence, our team had come across a layman who had invested his attained fortune to meet the accounting requirement for his business, but failed because of the proper designing, mismanagement of the software he had implemented. This is the time when developing team arose with the thought of how to use their developing skill and should be working and implementing a software which would be beneficiary for each and every person who is in need for an accounting software and can even change it according to his needs. This was the long term vision of OM at the initial stage. Openmiracle which was started with merely ten peoples is now a big project and is on the path of growth. It had faced many problems due to lack of infrastructure and resource, but our OM team did pass all the ordeals and came up with much successful software. During this stage they had also been to many different people who had different requirement in accounting software. Again this was the time for the OM team to show their skills and prepare Software inculcating all the important features of accounting software. In July 2012, a group of experts in software development bought into a reality which was named Openmiracle . The Openmiracle which was started with merely ten peoples is now a big project and is on the path of growth. Initially Openmiracle was lacking a proper infrastructure, but now Openmiracle is functioning in Ernakulum startup village independently as dream come true project, which has to travel miles away. It’s built keeping in mind for a common man who is looking out for a complete accounting package. This was the primary goal for Openmiracle. Usually accounting packages available in market does not meet the requirement of a common man (as its not customizable) like transactions, inventory handling, sales ,purchase and many which is inter connected with financial matters, payrolls and budget which is compulsory in an accounting software. But when it comes to Openmiracle you have an answer to everything with ease. The above mentioned things are a very small part of Openmiracle. For eg. When a sale takes place all types of tax, discount, returns, materials & receipts is included in this software successfully. The Openmiracle had a first stage release of payroll module in January 2013 at Cybrosys auditorium in Kinfra Techno Park ,Calicut .After the first stage release the next step in this software was to built important modules like transactions finance. Openmiracle had received a big response after the first stage release itself. Talking about it achievements in figures we would like to mention that Openmiracle achieved thousands of customers in local market and we achieved these customers through the Openmiracle Official site. After this, the so called big shot software pedia undertook the marketing of OM. Openmiracle was available through out on their site from that period onwards, and during this time span the pay roll module users started increasing day by day. After the first stage release, Openmiracle had started its support to the customers and in return it started receiving real time feedback which helped it in moving to the next stage. Openmiracle is the result of more than 100 expert software engineers and supporting team’s hard work. By adopting Openmiracle, clients can get ultimate power to customize it according to their needs to attain benefits or to better suit their own working practices, either via in-house development or by hiring external developers. They can also protect themselves to some extent from vendor lock-in, or the possible elimination of the software they use. Its 100 % free of cost, you can download it from our website anytime you wish. We have published its source code, Flow Diagrams, Architecture diagrams, Database Diagrams, and all other source files open to the world. It can be downloaded from Google code, Source Forge, Codeplex. There are many reasons why businesses decide not to install special accounting software. These include perceived costs, worries about complexity, should be sufficient. The truth is that all these reasons may have been valid in the past, but not now when Openmiracle is here!! This was the primary goal for Openmiracle. Accounting software used to be pricey, with costs escalating for each additional user, it is now possible to get hold of a decent accounting package which won’t cost a penny. Openmiracle has now already generated a ton of buzz after it was first launched at GITEX October 2013. It is an annual international trading hub for the global technology sector at Dubai world trade center and has led us to prove our trustworthiness as a reliable partner for offshore IT solutions. We were able to deliver more than 2000+ copies in IT exhibit within two days. After this release we had received an amazing response from various costumers around world, which was very helpful in the further development and updation of Openmiracle. During these period the source code was not been released. Later we were able to present Openmiracle source code Launch at the IT tradeshow CeBIT , Hannover, Germany on 10th February 2014 . Among the expertise in open source fields we were able to upload our source code in Git Hub. Through Git Hub we were able to club with well known application like Google Code, Source Forge, Codeplex and could also upload our source code in their site. This helped Openmiracle to reach with source code worldwide. Openmiracle also face a very good response after the source code release. Within one month Openmiracle had more than 50 countries downloading the software with source code. Again talking in numbers Openmiracle had 4200+ downloads. After two months, by April 2014 first week Openmiracle was been used in more than 140 countries. The figure has exceeded 10000. The majority of Openmiracle customers are in India. 2000+ People are using only the source code. After India the next majority users of Openmiracle is in US. Nearly 1000 of people has started using this. After US, countries like UK, CHINA and INDONASIA customers count is being increasing massively. Major software companies, software engineers and IT students have started using the source code. From small scale industries to big scale industries have started using the application. The growth of the software was so sudden that anyone would be envy about. Usually accounting packages available in market does not meet the requirement of a common man (as its not customizable) like transactions, inventory handling, sales ,purchase and many which is inter connected with financial matters ,payrolls and budget which is compulsory in an accounting software. But when it comes to Openmiracle you have an answer to everything with ease. The above mentioned things are a very small part of Openmiracle. For eg. When a sale takes place all types of tax, discount, returns, materials & receipts is included in this software successfully. Above all Openmiracle is free of cost to the customer and customer can change it to the core with help of the source code and is very user friendly.